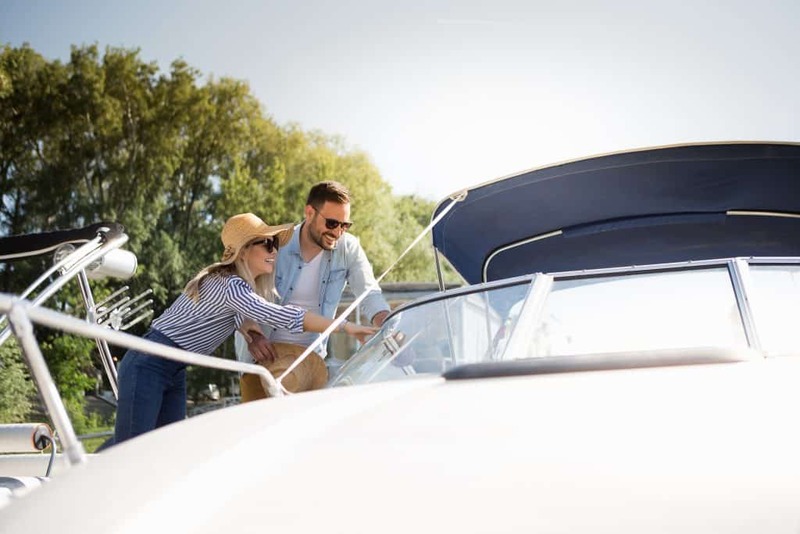 If you’ve always wanted to own a boat but have never managed to scrape up the money for a dreamboat, you can always go buy a second-hand boat that can offer much of the same experience but at a lesser price. 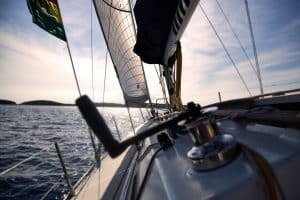 You can always buy a new boat of your liking when you can afford it, but why delay the experience of sailing in the open seas, on your very own boat? When purchasing a second-hand boat, there are some things you may want to keep in mind. The following are some questions and frameworks that should help you get the boat that suits you best. The first thing to do when you are out in the market looking for a secondhand boat is to decide on a budget. If you have a number in mind, it will be easier for you to come to a decision. You can simply eliminate the ones that are not in your budget and focus only on the ones that you can afford. This will save you a lot of time and help you narrow down your choices. Don’t be fooled by looks. Boats depreciate a lot slower than cars do. So don’t think that if you pay less money for something, the service you will get out of that boat will also be cheap. You can pay $50,000 for a boat that is only 10 years old and has sailed around the world, but there could be a lot on the boat that is damaged or not cared for. At the same time, you can pay $20,000 for a 15-year-old boat that sails as good as new on the waters but looks beat up and old. 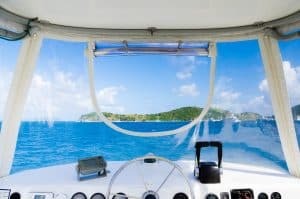 So along with deciding your budget, you need to take into account what the expenses when buying a boat will include. What you will use the boat for will also help determine the kind of boat you should buy. Is it just a recreational sailing boat or do you have more serious ambitions for it? Will you be enrolling in competitions? How many people do you expect to have onboard at once? These are all factors that will help you narrow down the boat you should pick. Deciding what you will use it for will also determine the location of where you will be sailing and the weather conditions. Basically, be clear about why you want to buy the boat. What you need to account for in your budget is how much work the boat may need after you have purchased it. What is the condition of the boat the previous owner has left it in? Once you have bought the boat, you will likely need to spend some money on repairs or simply to make it more ‘you’. So half of the budget should be for buying the boat and the other half should be for all the work you want to get done on the boat. This could be overhauling the engine, replacing the sails, lights, plumbing, etc. if the repair itself costs more than half of your budget, you should look for a boat which requires less work. What to Check for in a Survey? The way to figure out how much work a boat might need is to get an extensive survey done before you buy the boat. Hire a surveyor yourself so there is no bias and you get an honest picture. You can hire a marine surveyor that is an accredited member of SAMS, ACMS, or NAMS. The surveyor knows everything there is to know about boats and is familiar with the hurdles you may come across while at sea. It may seem like an unnecessary expenditure, especially if you have your heart set on something, but getting a survey beforehand can save you a lot of expenditure later. It is far worse to have spent all that money you saved only to realize you need to throwaway more money on an imperfect boat. Full disclosure is the way to go when buying a boat. If the owner will let you, take it out for a spin or ask them to steer it while the surveyor checks everything works fine while at sea. What Should You Ask the Previous Owner? How many hours has the engine served already? Is it still under warranty period and can the warranty be transferred along with the ownership? How disciplined was the owner with regards to servicing the boat? Where is the boat stowed away in the summer and the winter? Have there been any problems with the boat’s functioning? What kind? Why is the owner selling the boat? Owning a boat may have been your lifelong dream or just a recent desire. Either way, you deserve a fair deal and a fair price. A second-hand boat doesn’t mean you need to be handed the shorter end of the stick. You can get at least a decade’s worth of use from a used boat but you should not be swindled into buying a boat that is not worth the money. Ask all the questions in your mind before you make a final decision!